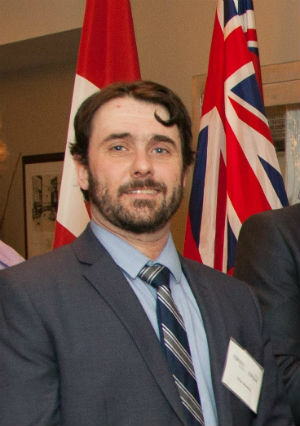 Drew Woodley has been hired as Epilepsy Ontario’s director of government relations, a new role the organization has created to encourage on-going sustainable investment from the provincial government for epilepsy community agencies and support programs. He started the position on a permanent basis in July. Woodley comes to the role after working six years as director of communications for Epilepsy Toronto. He also has a background working in politics, so his new role draws on his expertise advocating for people with epilepsy and his experience working with government officials, he says. Woodley says the most exciting part of his new role is that he will be engaging with community epilepsy agencies, discovering their needs and working towards helping agencies have their voices heard at Queen’s Park. “The position really allows me to work with agencies and teams from all over the province who have different resources (and) different needs, and I can help support them in their work and to help drive home the message that Ontario really does need investment in epilepsy programs at the community level,” he says. After Queen’s Park Action Day in 2017, the Epilepsy Ontario board decided there needed to be an epilepsy government relations strategy provincewide that would be long term. While Woodley says community epilepsy agencies do an excellent job engaging MPPs, they often don’t have the resources to advocate as much as they could. This is where he comes in. “We are going to continue pushing this focus on the need for funding and resources for epilepsy education and support programs for the long term,” Woodley says.